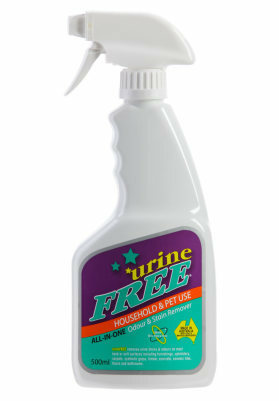 An all-in-one bio-enzymatic product in an easy to use spray bottle that will clean and remove all urine odours and urine stains whether dog urine, cat urine, other pet urine, human urine and household accidents. Works on carpets, fabric, wood floors, cement, tiles, porcelain, mattresses and most surfaces. 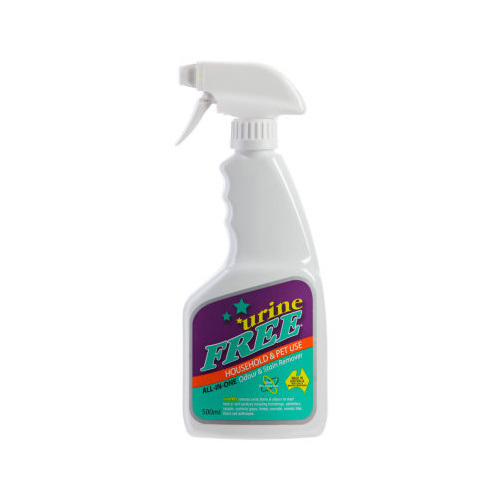 Urine (dog, cat or any animal) consists of urea, urochrome and uric acid crystals.